How raw feeders feed is a very individual choice, however one of the arguments against vegetables, fruit, tripe, supplements (if so inclined) even fish, is that dogs in the wild would not have (have had) access to it. Let’s have a look at Wild Dogs as that animal lying beside you chomping on a dehydrated ox willy is not a Wild Dog! For me this argument is a fallacy and falls down on several issues. Where are these wild dogs, and do they relate at all to my domesticated pet? Hardly … with the exception of Stray Dogs, who according to the ASPCA, have a life span of max 2 years! Other “wild dogs” live in, you guessed it the wild, they have predators, they are being hunted to extinction, they have a diet to survive on; it is survival of the fittest. For example the African Wild Dog (pictured) who live on the African plains, with a life span of max 10 yrs and now considered endangered. Their numbers are low due to being hunted and killed, by disease of domesticated animals, predators like lions and the loss of habitat. If you take the Wild Dog argumentation further we are also able to rule out any form or medical treatment, as they would not have access to it (hence wild counter parts tend not to life long – get injured and you are in trouble!). Eg you would not give it garlic or diatomaceous earth (against parasites) or probiotics (in the event it has a dodgy tummy), or turmeric if you dog has arthritis even though it’s proved to really help? That doesn’t work for me at all! We also know that our own environments, in which our domesticated pets, live have an impact on their lives. We can shorten their lives by smoking, or by over vaccinating, or using a lot of strong cleaning products, or even bad breeding. Few of the wild counter parts face these type of challenges – for them it’s health or death. 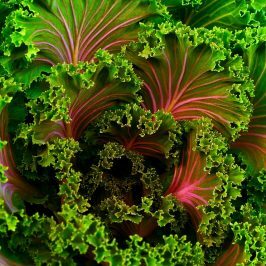 Also we know that the meat we feed is often a result of intense farming on depleted soils – a few of us supplement for this with eg spirulina or chlorella – both dried sea vegetables, hardly accessible. Equally certain more alternative cancer treatments, and by golly many dogs get the big C, are based on supplements and diet (which does include plant material). Even the conventional cancer treatments like chemo are hardly “natural” for a wild dog. If we look at Wolves for example, as they are on a par with Wild Dogs in terms of reasoning for or against particular ways of feeding, their life span in the wild is 6 – 8 years, surely we want our dogs to live much longer then that. We should not see diet black and white, dogs are facultative carnivores, we should respect them for what they are – domesticated pets with vastly different challenges then wild counter parts or even stray dogs, your dog is not a Wolf, or an African Wild Dog, it might have been a stray and then you will probably know the difference between survive V thrive. Don’t rule out useful ingredients like tripe, fish, oils or supplements, if there is no need to do so on the basis a it would not have been natural to a Wild Dog – feed a diet for thriving not surviving for your domesticated dog! 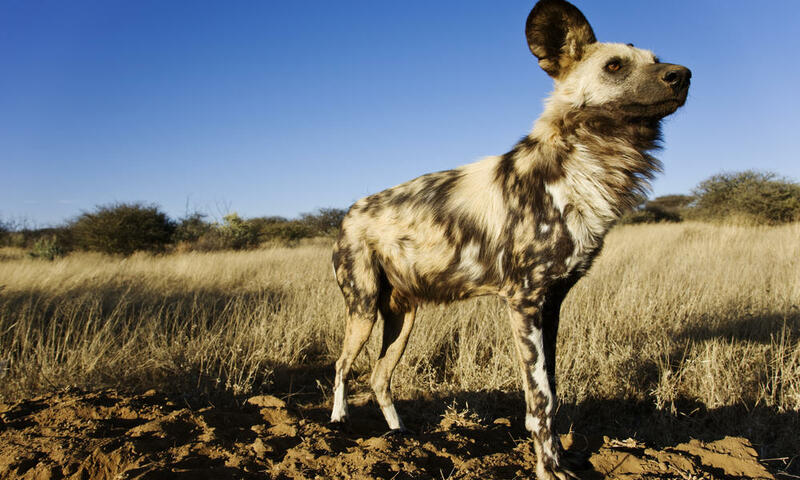 If you do want a WILD DOG in your life – adopt one via WWF – and support conservation efforts.